Record a piece of music inspired by a term from painting. Deadline: This project’s deadline is 11:59pm (that is, just before midnight) wherever you are on Monday, April 16, 2018. This project was posted in the early afternoon, California time, on Thursday, April 12, 2018. 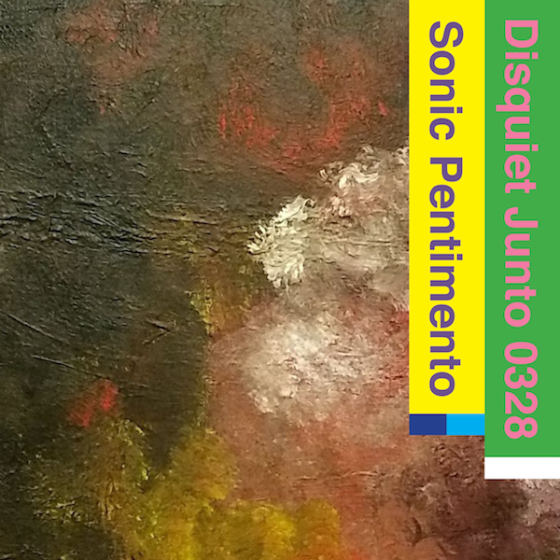 Step 1: This week’s Disquiet Junto project involves recording a piece of music inspired by a term from painting. That word is “pentimento,” which is defined in the Merriam-Webster dictionary as “a reappearance in a painting of an original drawn or painted element which was eventually painted over by the artist.” Familiarize yourself with the term. Step 2: Think about how the term “pentimento” can be borrowed from painting and applied to sound. Step 3: Record a track informed by the thoughts that arose from Steps 1 and 2. Background: The word “pentimento” is being employed by musician Jon Hassell in the title to his forthcoming album, Listening to Pictures (Pentimento Volume One). That word choice on Hassell’s part informed this Junto project. Familiarity with Hassell’s music isn’t required, but it’s certainly recommended. Step 1: Include “disquiet0328” (no spaces or quotation marks) in the name of your track. Step 2: If your audio-hosting platform allows for tags, be sure to also include the project tag “disquiet0328” (no spaces or quotation marks). If you’re posting on SoundCloud in particular, this is essential to subsequent location of tracks for the creation a project playlist. Length: The length is up to you. Around four minutes seems about right. Title/Tag: When posting your track, please include “disquiet0328” in the title of the track, and where applicable (on SoundCloud, for example) as a tag. The image associated with this project is a detail from a painting by Mark Rushton, who approved its inclusion.